No one can deny that Shopkins is one of the best party themes right now! I don’t think I’ve met a girl yet who doesn’t LOVE Shopkins. 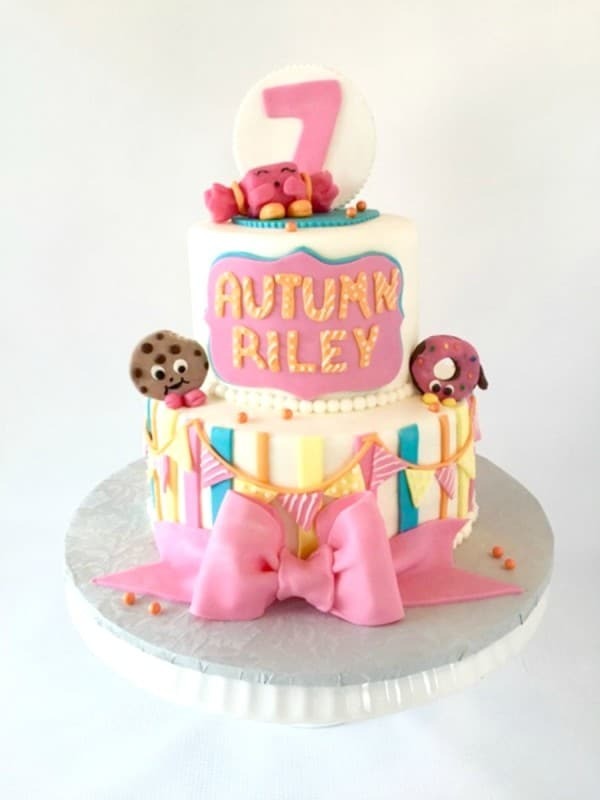 So if your child is begging you to have a Shopkins birthday party and you’re on the hunt for the most adorable Shopkins cake, you came to the right place! 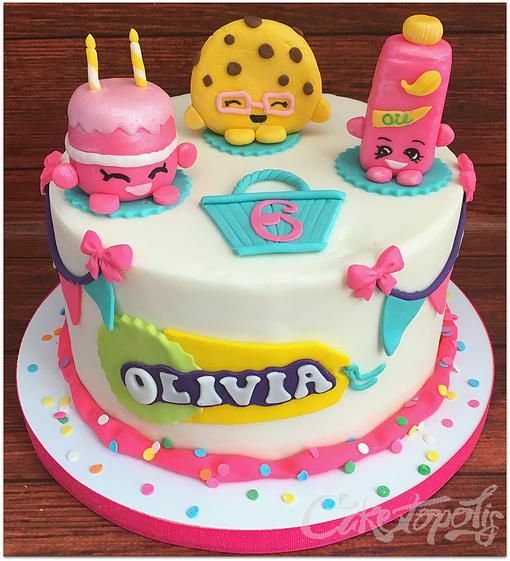 Choose from these adorable Shopkins cake designs. Every one of them is sure to make your kid’s Shopkins birthday party a blast! Shopkins are undeniably cute collectible toys created by Moose Toys. Since its launch in 2014, more than 150 million Shopkin characters have been sold worldwide. Yes, it’s that popular! Kids find Shopkins irresistible because the characters are super adorable and fun. While they look like ordinary items with faces, kids from all over the world just can’t get enough of them. The great thing about Shopkins is that these toys can actually bring kids together. In a world of gadgets and technology, Shopkins is a really great tool to encourage kids to interact with each other! Kids can collect these cuties and swap or trade them with other kids. And moms love it that they don’t take up too much space. Admit it, they are pretty adorable! Moms and kids alike have been raving over these tiny cuties ever since they came out on the market. The other good thing about Shopkins is that the bright colors are perfect for birthday parties! Who wouldn’t want to have Jessie, Strawberry Kiss, Apple Blossom, or Cupcake Queen represented at their party? By having a Shopkins-inspired party, your birthday celebrant and her guests can dive into the world of Shopville and have a great time! Maybe you love to bake and are wondering how to make a Shopkins cake for your child’s birthday party. The Icing Artist has a great video tutorial on how to make a Lippy Lipstick Shopkins Cake. 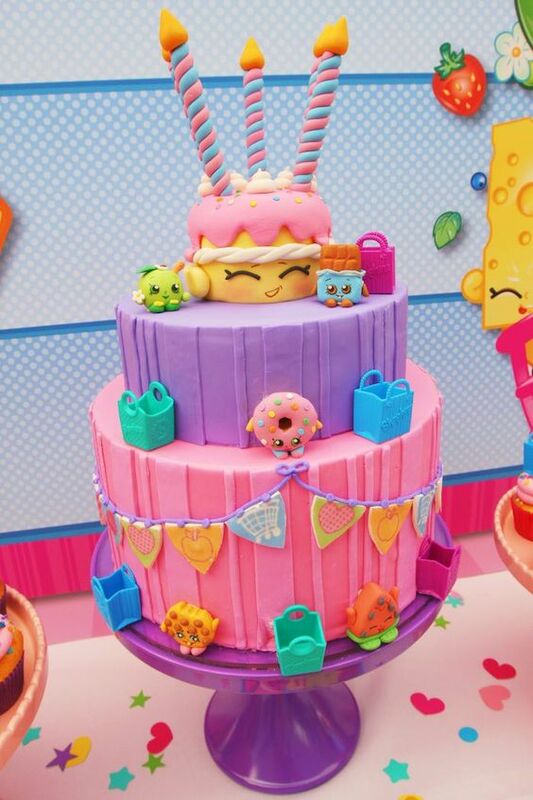 So if you’re brave enough to tackle this Shopkins cake let us know how it turns out! Are you ready yet? We have lots of Shopkins cake designs for you to choose from! Check out these 10 Adorable Shopkins Cakes. These adorable, incredibly cute Shopkins birthday cakes will be the highlight of your Shopkins party! Your kid will be absolutely thrilled with any of these for their big birthday bash! 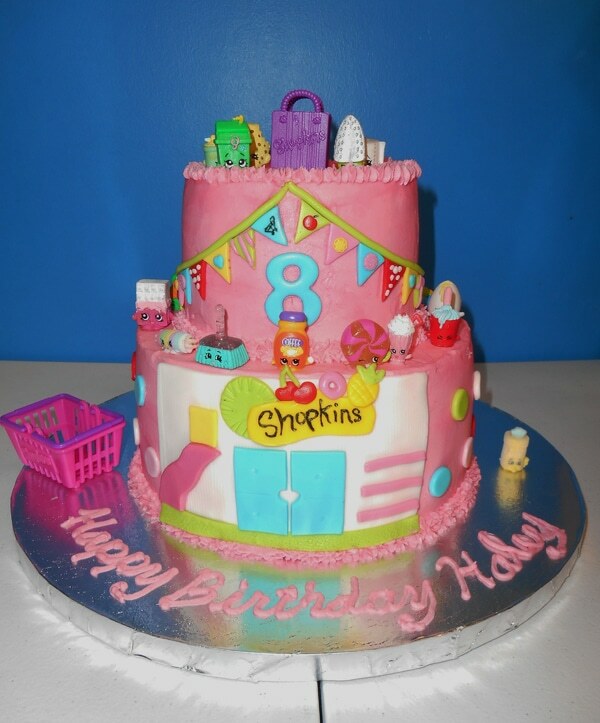 If you’re leaning towards a pink and yellow theme, come check out this three-tiered Shopkins Birthday Cake. Win-win if you include your kid’s favorite Shopkins characters such as Strawberry Kiss, Kooky Cookie, Millie Shake, and Pink Wishes. Any little Shopkins fan would love this birthday cake at their party. This delightfully pink Shopkins Cake is sure to WOW not just the birthday girl, but your guests as well. Check out the adorable cake toppers! You can easily pair this cake with pink Shopkins cupcakes to add to your dessert table. 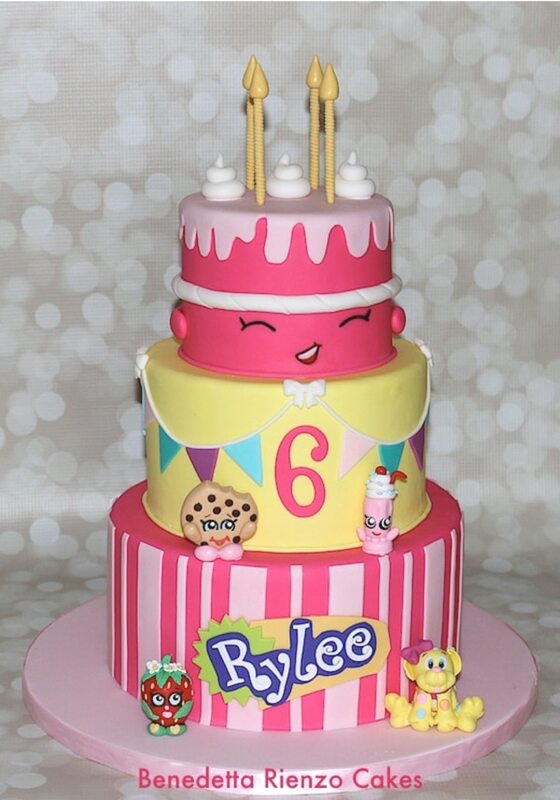 Add the Shopkins characters on top of the cupcakes to match the cake. Have a look at this delightful Shopkins Cupcake Queen Cake. Character cakes are always a big hit with the youngsters. And we’re positive that this Cupcake Queen Cake will win your little girl’s heart – and all her friends too! This cake would certainly look great on your cake or sweets table. Match cupcakes would also look amazing too! Crazy over girly cakes? This drool-worthy pink and white cake with sprinkles is sure to make your kid’s birthday even more special. Check out this incredible Shopkins Cake with adorable fondant character toppers. How cute are the banner and bow details? The birthday girl’s name is front and center and resembles the Shopkins brand label. What a great idea! This exquisite Shopkins cake is absolute perfection! We’re loving the color combination of pink, purple, and blue. And, oh how adorable are those candles?! The amazing detail that went into the Shopkins characters made of fondant are just PERFECT! This cake will certainly gain a lot of attention at your party. This Gravity Defying Shopkins Cake is a total showstopper! Just imagine how cool it would look as the centerpiece of your dessert table. Pretty awesome, huh? A lot of work and talent went into this Shopkins design. 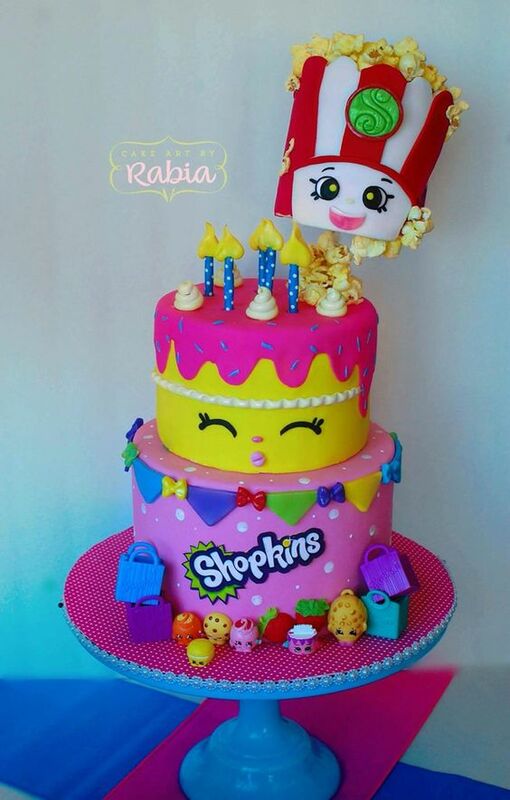 What a creative Shopkins cake idea. This Wishes inspired cake with swirly fondant candles is sure to be a hit with your guests. This Shopkins cake features stars, sprinkles, and an adorable bunting in the front with the birthday girl’s name on it. Pair this cake with a couple of cute Shopkins cupcakes and you’re all set for your party. Your kid is going to love this Shopkins Themed Birthday Cake. The gorgeous fondant bow tie perfectly compliments the overall design and color combination of the cake itself. 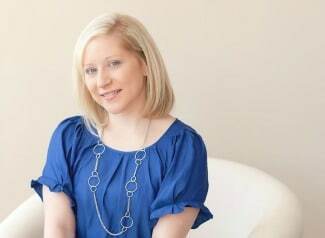 It’s perfectly girly and absolutely stunning! 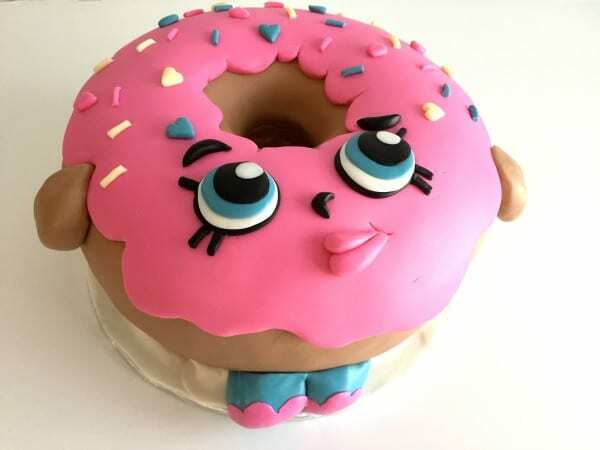 Don’t you just love this adorable D’lish Donut cake?! 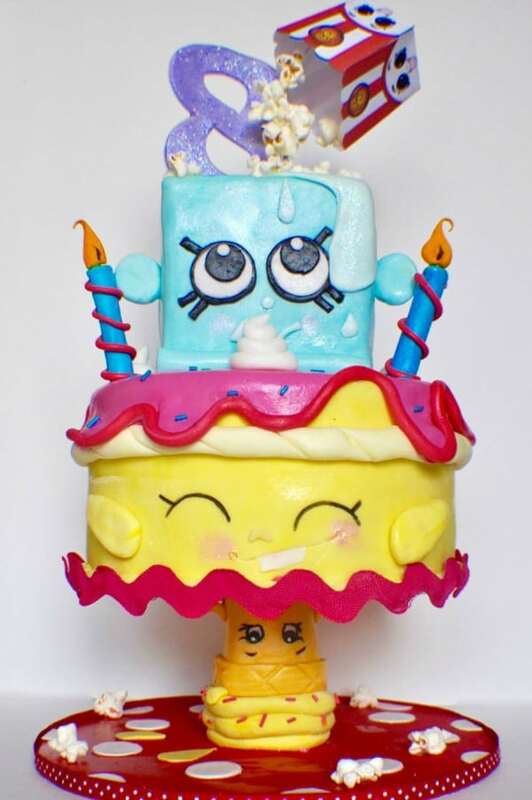 It’s one of the most popular Shopkins cake designs that you can find online. Your birthday girl and her friends won’t get enough of this Shopkins Donut Cake. Pair this cake with Shopkins cupcakes and make your dessert table look absolutely amazing! 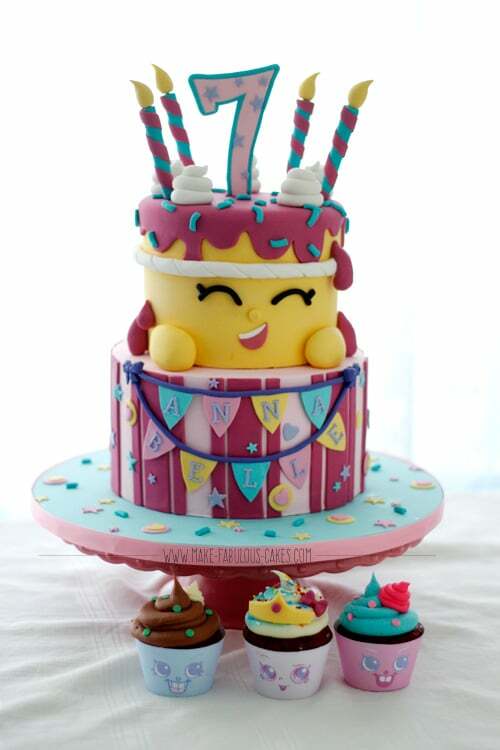 This ultra-adorable Shopkins Birthday Cake is sure to complete your kid’s Shopkins-themed birthday. Aside from looking totally awesome, it looks scrumptious too! If your little one has been begging for a Shopkins birthday party this year, you definitely need an awesome Shopkins cake to wow your guests. 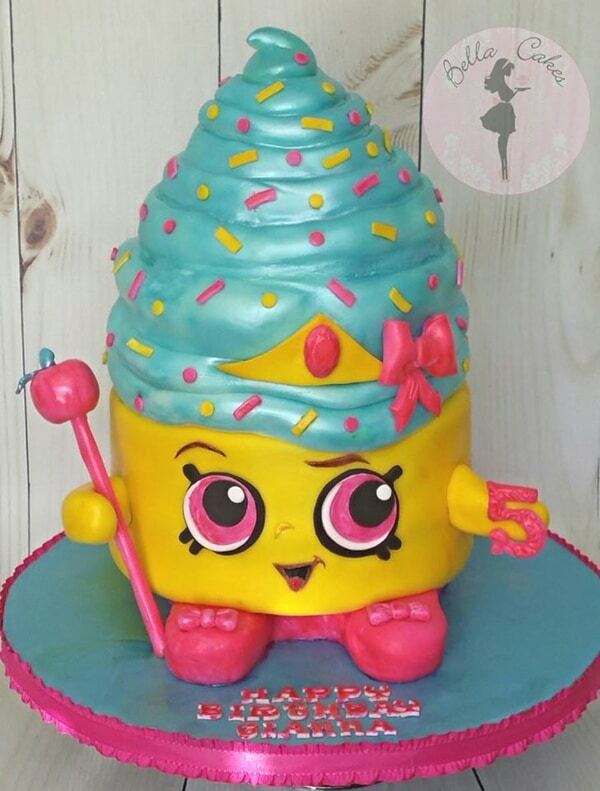 We bet this Shopkins birthday cake will blow the kids away! And there you have it! 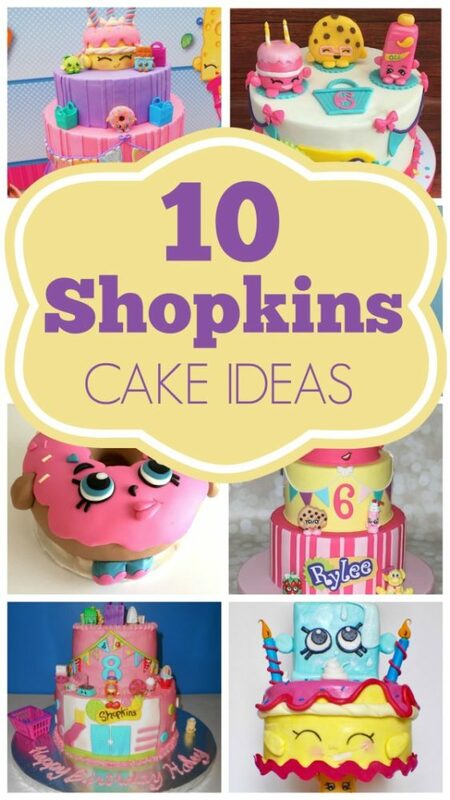 Our top 10 list of awesome Shopkins cakes! BONUS TIP: Can’t decide which Shopkins characters to choose from? What’s your favorite Shopkins cake? Let us know in the comments below! I have a Shopkins birthday party coming up August 20, 2016 for my 3 daughters birthdays. Where can I purchase one of these beautiful cakes?